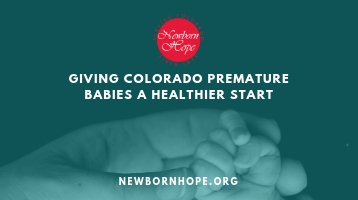 Newborn Hope seeks to support families impacted by prematurity by connecting them with organizations and resources who can help in their journey. The content, articles and educational materials offered herein are here to educate families on health care and medical issues. Nothing in the content or services should be considered, or used as a substitute for, medical advice, diagnosis, or treatment. This site and services it posts, including, but not limited to, any educational and health care information do not constitute the practice of any medical, nursing or other professional health care advice, diagnosis or treatment. None of the materials or content offered through this website represents or warrants that any particular material or service is safe, appropriate or effective for you. Newborn Hope advises users to always seek the advice of a physician or other qualified health care provider with any questions regarding health or medical conditions.